After five studio albums and countless tours around the globe, The Dillinger Escape Plan has earned much respect among fans and critics worldwide. With accomplishments such as coverage in mass media from the Rolling Stone to the New York Times, Billboard chart status, and performances on net work television such as Late night with Conan O’Brien, the Dillinger Escape Plan is often named one of the most important bands to have emerged over the last decade. 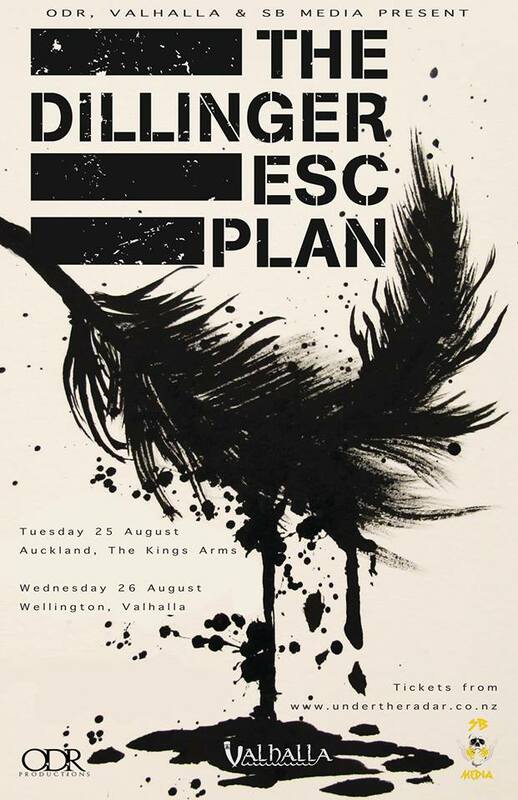 Celebrating their new album “One of Us is the Killer” and playing two very intimate venues here in New Zealand! It’s a show you won’t want to miss! !